A dollhouse is an important part of many childhoods. There are adult collectors as well. Constructing dollhouses and other miniature structures is a common hobby and many commercially produced fixtures such as doors and windows are available. As with many crafting hobbies though, creating your own pieces is part of the experience. 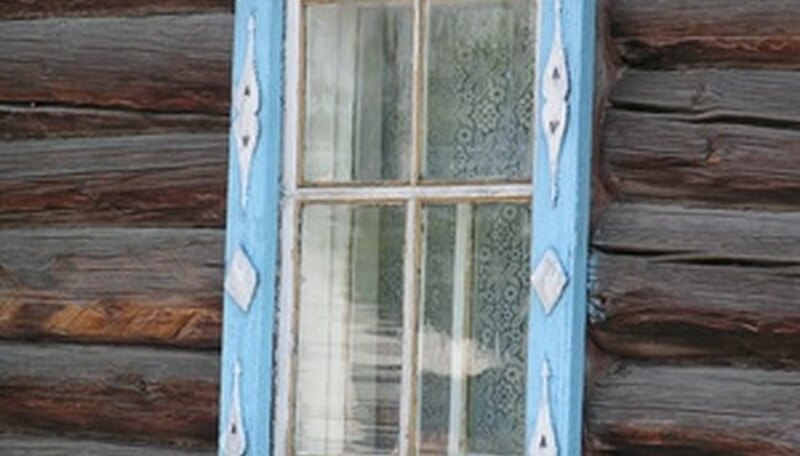 When designing windows for your dollhouse, choose a style of window that fits the house you are building and use an image or two for inspiration. Measure the opening in your dollhouse wall where you intend to install the window. Measure side to side and top to bottom. Cut two pieces of 1/8-inch thick foam core craft board, 1/4 inch taller and wider than the opening. Use a utility knife and straight edge to make clean cuts on the edges. Cut two additional pieces of foam core the size of the opening. Draw a rectangle on the two larger pieces of foam core 1/4 inch from each edge. Cut along the lines of the rectangle with a utility knife and remove the rectangle. Using your inspiration image, draw the inside frame lines of your window onto the smaller rectangular pieces of foam core from step 2. Make the outside lines of the frame at least 1/8 inch from each edge of the foam core. The most common window styles feature two large panes, one above the other, or multiple smaller panes in a grid pattern. Cut out the spaces for the panes along the lines with a utility knife. Cut two pieces of thin acetate, available from art supply stores, the size of the opening in the wall using the utility knife. Glue the two foam core pieces, with the glass pane cutouts, to the backs of the larger foam core frames. Center the pieces so that each edge is 1/8 inch from the outside of the larger frame. Glue one piece of acetate to the back of each frame, so that the acetate is directly behind the pane cutouts. Allow the glue to dry. Position the frames in the opening in the wall, one on the inside and one on the outside. Trim the edges of the frames as needed for a smooth fit. Apply glue to the back of the outside edge of each frame and place them in the opening. Use a piece of masking tape to hold each frame to the wall until the glue sets.